In the recent years, matcha green tea has become extremely popular and nowadays it’s likely you will find it in bigger coffee shops in your local area such as Starbucks. Matcha green tea is known to have many health benefits due to its high antioxidant content and it’s especially popular among health-conscious consumers. 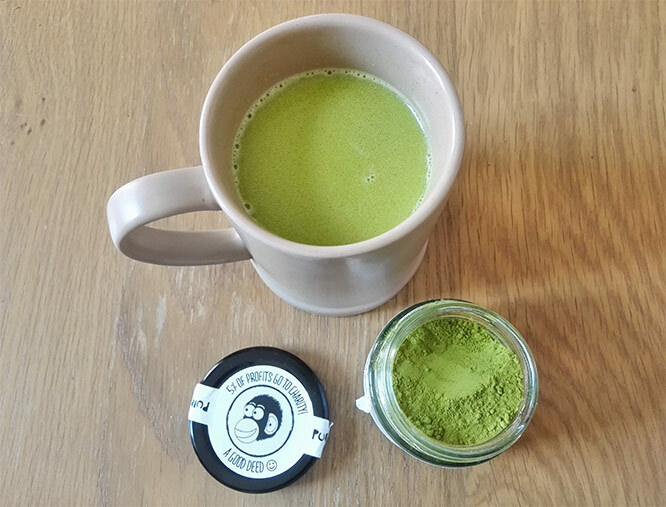 This year I have also become a fan of matcha as it gives me a bit of an energy boost and helps me concentrate, not to mention that it can speed up metabolism and helps with weight loss. Other health benefits worth mentioning are cancer prevention and protection against heart disease. But when you go to Starbucks and order matcha green tea, it may not be necessarily all that healthy. Starbucks offer a variety of drinks containing matcha green tea powder, for example, Matcha Green Tea Crème Frappuccino® which is Matcha combined with milk and vanilla and topped with whipped cream. Now, how can that be healthy? Luckily, there is an option to customise this cold matcha drink so you can pick non-dairy milk and skip the whipped cream. You can even choose a sugar-free syrup to go with it. I haven’t had a matcha drink from Starbucks yet so I am still a little bit sceptical – I am just not sure how healthy their matcha drinks actually are. Where does the matcha green powder they use come from? Is it from Japan or from China? (Japanese matcha powder is the best.) Also, what ingredients exactly do they use in those drinks? Do they add something to make the drink taste better? 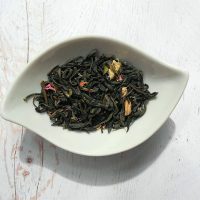 Matcha green tea is naturally grassy with a quite strong flavour so it doesn’t taste that good but once you mix it with other ingredients, the taste really improves. And you can make it really mild by not using too much (less than a teaspoon) – but then it’s not going to be as beneficial as if you used more powder. I am sure one day I will try matcha green tea from Starbucks and I will try to find all the answers to my questions then but until then I will enjoy my own matcha drink at home. At least I know what ingredients I am using in it – Japanese matcha green tea powder and non-dairy milk which I know exactly what it contains. Of course, you don’t have to make a matcha latte to drink matcha at home. Instead, you can skip the milk and just make a traditional Japanese matcha using hot water. 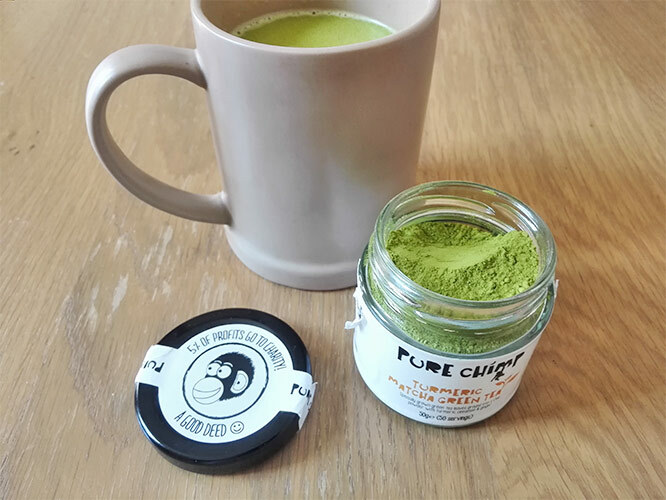 But I prefer matcha latte as the taste is milder and actually really delicious – I use matcha green tea powder from Pure Chimp which has an addition of turmeric, ginger and cinnamon and all these spices make matcha latte taste really good. 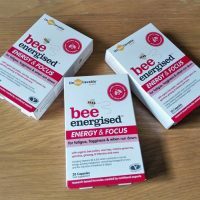 This has now become one of my favourite health drinks and I normally have it every day. Put almond milk into a milk pan and place it onto a hot hob. Add a little bit of coconut oil, letting it melt into hot almond milk. Stir a bit. Do not let almond milk to boil, it should be hot but not to a boiling point. Take a level teaspoon of matcha green tea powder and put it through a small sieve (this is to prevent any clumps from forming when making matcha latte). You should use a small bowl for that or a measuring jug. Boil some water and let it cool down for a little bit. Put a little bit of water into the bowl with matcha green tea powder and start whisking it. Whisk until smooth and then it's ready to be mixed with hot almond milk. 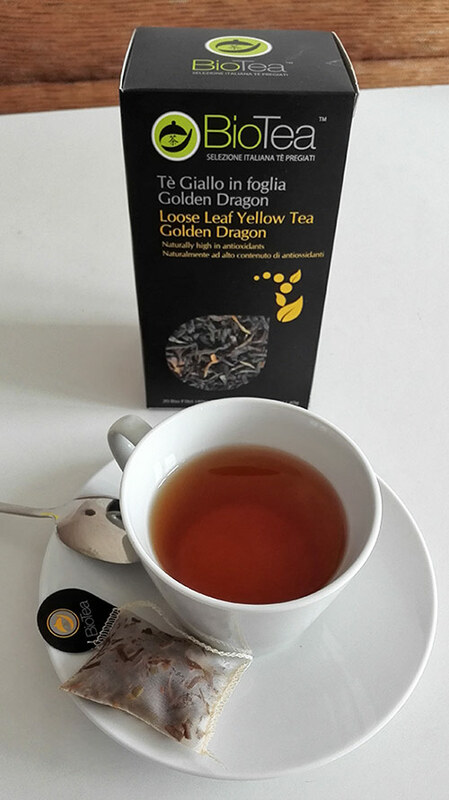 Put everything in a big cup or mug and add a teaspoon of honey. Enjoy! If needed, you could add more almond milk/water to make the taste milder. But when matcha drink is made in this way it already has a lovely taste and doesn't taste grassy at all. Have you ever tried matcha latte and what did you think? 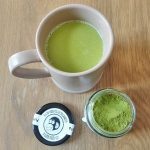 Do you make a healthy matcha latte at home?